How do you choose your wine? Do you buy something your friend brought to dinner that one time? Maybe you always stick to the brand or two you can remember? Or do you just pick whichever label is prettiest and/or has the most stickers? There is a better way to buy wine, and that is by tasting a lot of it, talking to the people who make it and working out what you actually like. Cellarmasters is holding a special event so you can do just that, tasting wines from places such as Ata Mara, Black Wattle, Blood Brother Republic, Briar Ridge, Di Fabio, Dolan, Dorrien, Duval, Isabel, Jim Barry, Krondorf, Lowe, Mockingbird Hill, Neil McGuigan, Redemption, Ribbon Hills, Riversdale, Stefano de Pieri, Usher Tinkler, Vasarelli and Wordsmith. Even better, the winemakers themselves will be on hand to talk you through what you're tasting and work out what you like. If you get hungry with all that tasting and chatting, there will also be a cheese and antipasto grazing station, as well as canapés. 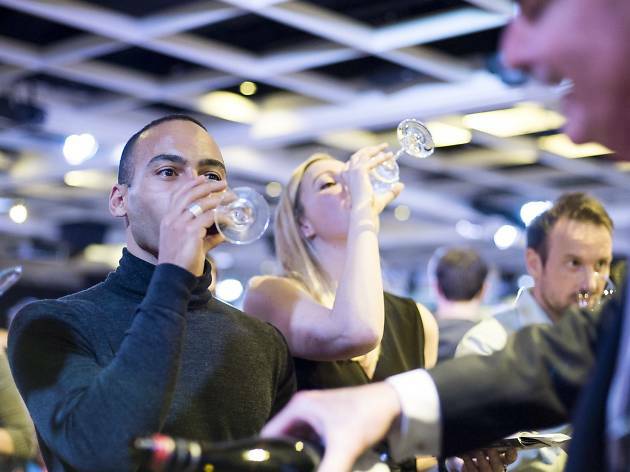 Tickets also include a glass of sparkling on arrival, and if you like what you're tasting, there will be $50 off every dozen purchased on the night.